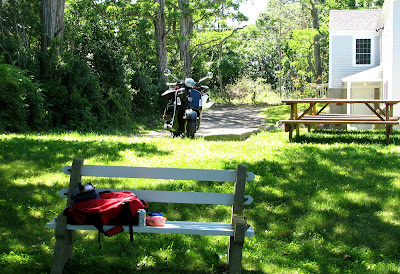 Combining a few of my favorite things, I am on a quest to ride my Vespa to remarkable "dining rooms" up and down the great state of Maine. 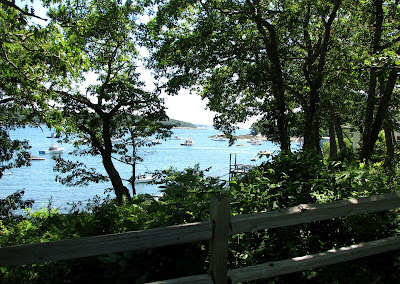 After preparing a picnic lunch of tortilla wraps, a salad, some fresh blueberries, and several cans of the world's greatest soft drink (and the official soft drink of Maine), diet Moxie, I set out this day for Cundy's Harbor. 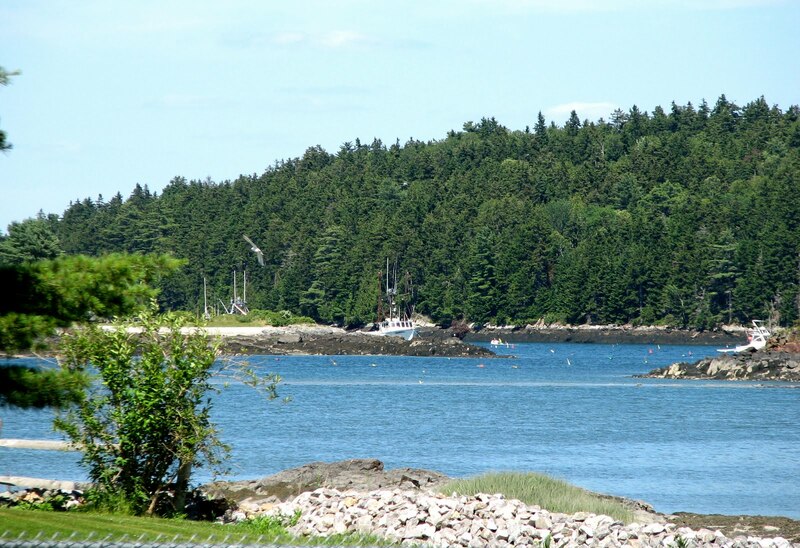 Located on the tip of Great Sebascodegan Island - locally simply "Great" - Cundy's sits on one of three islands that comprise the town of Harpswell. The others, Orr and Bailey, are next on my list for a visit. The town also has some 200 other, smaller islands. In fact, with 216 miles of coastline, Harpswell has more of that precious property than anyone municipality in Maine. One might think that a picnic behind a library overlooking a highway doesn't sound particularly appealing. 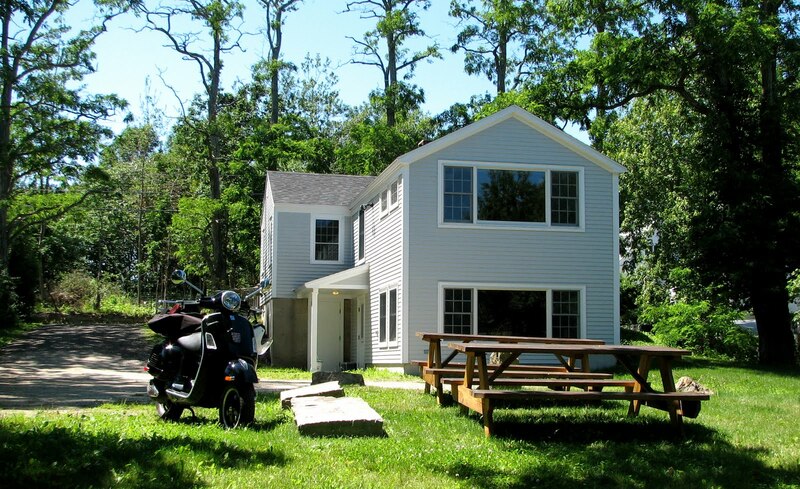 Below is the library - the Cundy's Harbor Library. And here is the highway: the New Meadows River. Cundy's is the oldest working fisherman's harbor in Maine, the oldest lobstering community in the state. Purchased from Native Americans in 1659, Europeans began to settle and to fish. 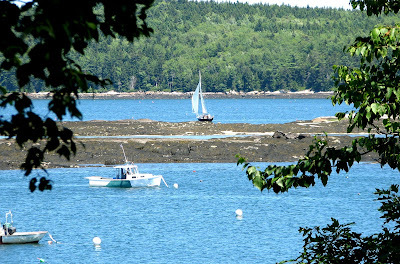 Although just two settlers remained by 1714, driven off by Indian raids, the town of Harpswell was incorporated in 1758. 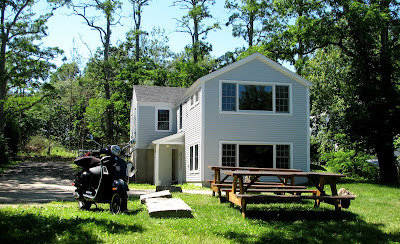 Parking the Vespa, and unloading my lunch, I settled in for a very long, pleasant meal. In the center of the picture is open ocean, just a mile or so down the New Meadows River. I doubt if anyone dining anywhere in Maine - or across the country - had a more relaxing, pleasant experience on this perfect afternoon. 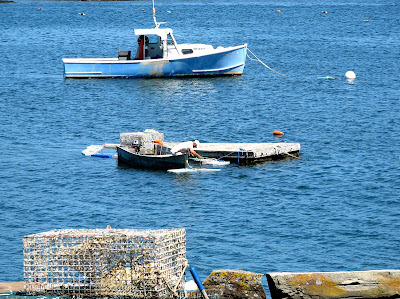 Remember this hard-working lobsterman the next time you chomp down on a lobster. Getting the ugly little taste delights from sea to dining room is back-breaking work. 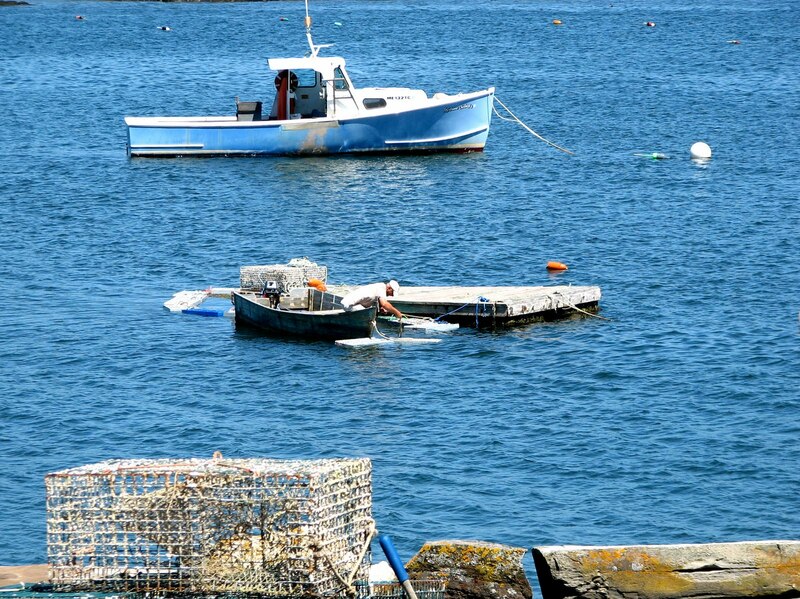 This photo was taken in the back yard of a Cundy's Harbor fisherman. 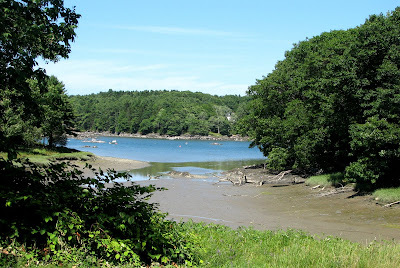 This is another back yard, at low tide. What a marvelous landscape. I wish I could scooter around with you. 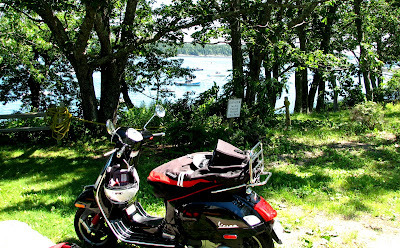 It looks like perfect Vespa territory. Please continue to show more of the surroundings.